Even after all the systems and processes have been created, both the automated and human elements of the system must do what they are supposed to do. System errors or breakdowns and humans not doing what they are supposed to do can create immediate service gaps. No system or human is perfect or infallible. As such your organisation must continually focus on minimising system and human errors. In addition, know what you will do if a Service Delivery Gap does occur. A local small business operator has a sign on his door that he will open at 8am. His staff are never there by 8am despite being employed to be there at that time. 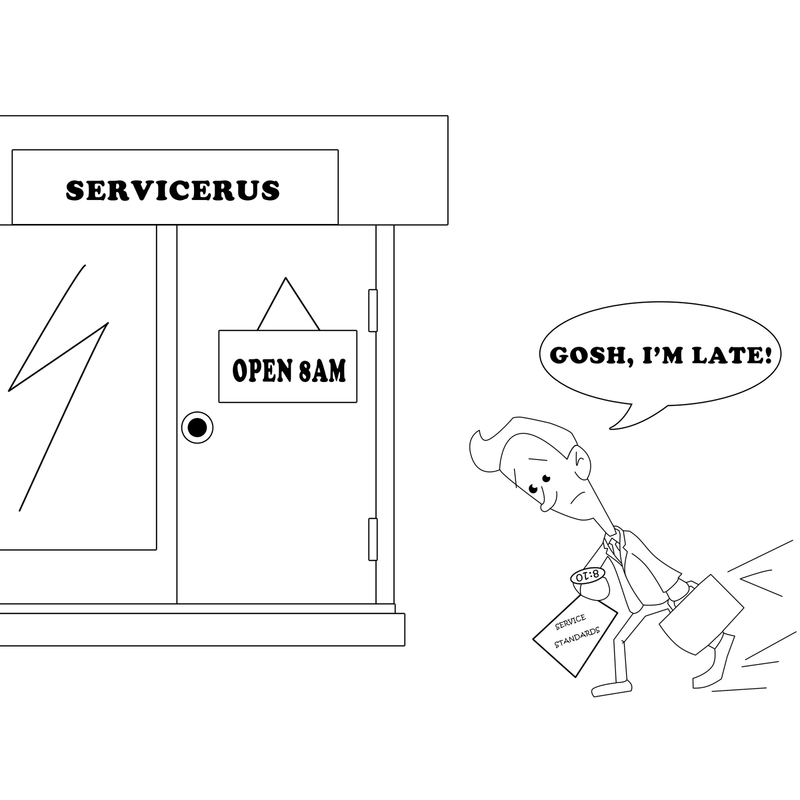 Consistently being late on a personal level creates a service delivery gap for an organisation. What are your service-delivery gaps?